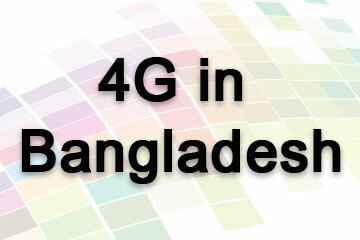 Yes, it’s here now, 4g in Bangladesh. Yes, in this February, the top Mobile Operators like GP (GrameenPhone), Robi and Banglalink launched 4G internet Service in Major City of Bangladesh. Robi already launched 4G internet Service in 64 Districts. You May already using GrameenPhone Internet Pack or Robi Internet Pack, but it’s time to use 4G 🙂 let us have a look what 4G is. Well, it’s like 3G but the speed is much higher then 3G internet Service. So, with 4G network, we will have a High quality internet experience specially for live string. What Type of 4G Features we will get? Clear voice of internet video and audio calling. In Bangladesh and most of the other country it’s Cell Phone based. So, you have to have 4G enabled handset to use 4G service. Also it should support by your cell phone service provider. Science it’s now available in BD, today or tomorrow you will be able to avail the service. You need have a 4G enabled SIM and based on your Service provider, contact with them or their retailer shop or in customer care to get that SIM. Is my SIM 4G enabled? Shortly you will have an SMS about the status. And for other service providers, well, we are coming very soon with that also. Please stay with us and have a look on our net post.